STROBING – All you need to know! Strobing – What is it and how do I achieve it? About 2 years ago the craze that is Contouring was born and everyone including myself went crazy for it. Now all we have being hearing about lately in terms of makeup application is “strobing”. So what is it and how do we achieve it? – Basically Strobing is a new word for “highlighting” but highlighting to the extreme (which I have always been a… fan of especially in summer). Storbing gives your skin that duey, healthy looking glow we all wish to have and now you can too by following my simple steps. -All you will need is your usual makeup and a good highlighter. I used the “sleek precious metals palette to achieve my look. – Its focused on highlighting the highest points of the face with your favourite highlighter to make them stand out and catch the light. – There are NO bronzers used on the face with this look. – I recommend applying your highlighter to your cheekbones, around the top of your brow, on your brow bone, down the center of your nose, on your cupid’s bow, on the inner corners of your eyes and a little on your chin then blend it all in with a brush so its not too harsh looking. Its very easy to do and so much quicker than contouring. *So there you have it. 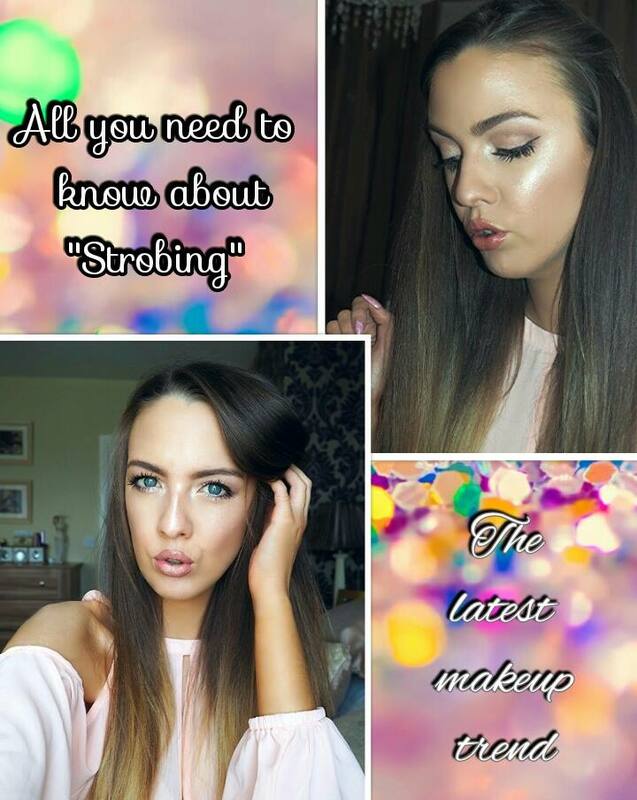 Now you know all there is to know about the “Strobing trend”. Why not give it a try…..!